The same every year - the search for the perfect Christmas present for the loved ones is sometimes difficult and tedious. But why spend the pre-Christmas time with stressful thoughts around the gift selection, if PS Profi Care can answer the question of the right men's gift today? 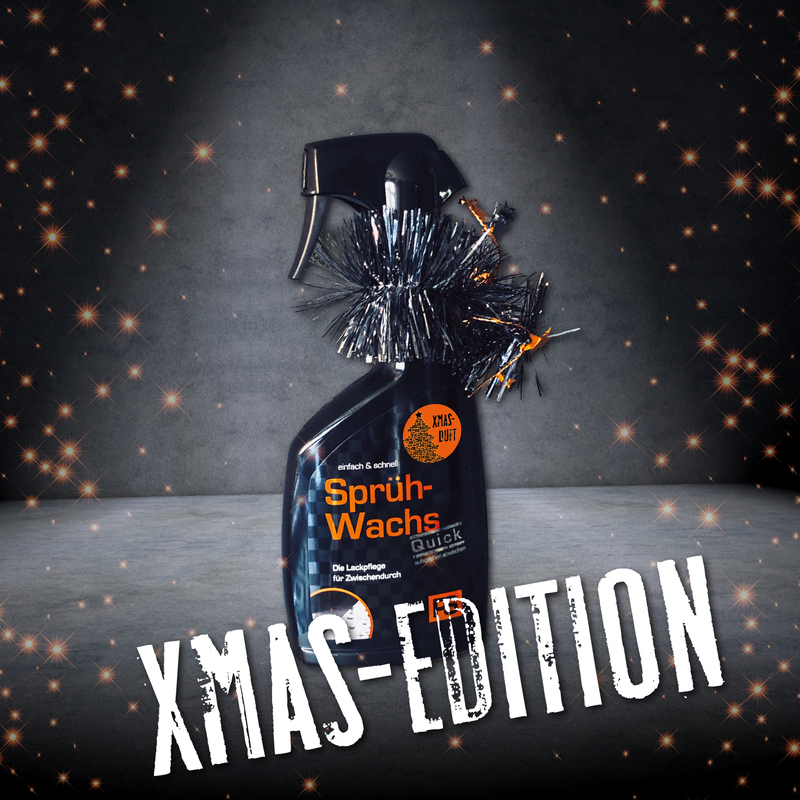 The exclusive XMas edition of the popular spray wax awakens the beautiful memories of the time when he was still dreaming of the driver's license with the toy car under the tree. The wax not only let the big dream car shine, but also men's eyes. In addition to this, the XMas edition comes up with a special Christmas scent. It is available for the first time in a limited edition on the PS booth. Get your autograph from the current Miss Tuning Laura! 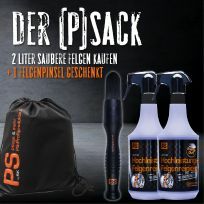 When buying two bottles of PS high-performance rim cleaner (1,000 ml each), you get a PS rim brush for free. Cocktail glass & car wash. Moist and cheerful. Glossy rims, fragrant paint care, soft leather. Experience care with all your senses, that's possible in the PS Pop-Up WaschBAR at the Essen Motor Show from 1 to 9 December. In Hall 6, the pros from PS will mix the right care cocktail for your show car. The ingredients for the effective appearance are served. As in any good club, there is the right area for every taste. There is something for every need, and the show act with Leony la Roc is even more "eye-catching". Moist and sensual, as later the laundry with PS shampoo. Although the feast of love still seems far away in the halls of the Essen Motor Show - the pre-Christmas season has dawned and the question of the right men's gift can be answered by PS. 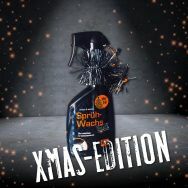 The X-Mas Edition of the spray wax awakens the beautiful memories of the time when he still dreamed from the license with the toy car under the tree. The gloss care with Christmas scent for the big dream car is available in limited edition on the PS 6C45 stand. Unlimited, new and just as gifted is the PS rim brush. As soft as possible and as strong as necessary, the four highlights are sure to get clean. The new PS catalog celebrates its premiere at the Essen Motor Show 2018. With "clean intentions" the PS professionals inform about their professional care. "Beware of addiction!" For car-dependent people.